A motorcyclist from Bexhill ended up in hospital after being involved in a crash with a car in Hastings yesterday (Wednesday, June 29). An Aprilia motorcycle and a Lexus IS200 car crashed on Mount Pleasant Road shortly before 4.30pm. 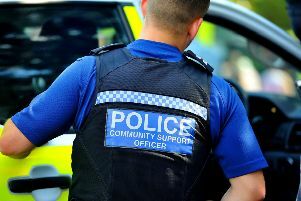 The biker, a 26-year-old man from Sidley, suffered a broken arm and was treated at hospital before being allowed home. The car driver, a 71-year-old man from Hastings, was unhurt. Mount Pleasant Road was closed until 5.20pm.